If you have to brag about how good you are, than you are probably not that good! 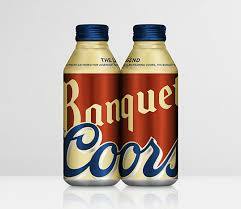 By the late 1970s, Coors had a market share of well over 50% in Kansas. In fact, Coors had close to 70% share in some rural markets in western Kansas. In Wichita, where I was, Coors had a share of 60%. Remember, during this time in the beer industry, Coors’ houses were exclusive, and the policy was not to split draft handles, meaning the account had to be exclusively Coors’ to get any draft. Wichita was the largest volume market in the state and our operation ranked in the top five in volume for Coors in their limited US marketing area. Kansas City, Kansas had for years enjoyed being the eastern most market for Coors, meaning they benefited from consumers buying Coors and carrying it back east. Now, however, Coors had expanded into Missouri ending those additional sales. Hutchinson, Kansas, was the state’s fourth largest market and geographically backed up to Wichita’s territory. While the state enjoyed market dominance in Hutch, Coors only had a 44% share of market. At this point, the owner of Hutchinson decided to leave the industry and sold his operation to Wichita. Once the deal was closed we quickly drove the Hutchinson market share well back into the 50% range. Obviously, this was a good investment for Wichita. So the question is: is the brand made by the brewery, or is the brand made by the wholesaler? In the Hutch case, the demand for Coors was there, but for many reasons, the distributor did not follow through. Prior to 2008, people in the industry outside the AB network marveled at the success of the AB network. If AB did not dominate a market, they were, at worst, a strong second. We all wished we had the tools that AB possessed. An associate who once worked national accounts with me was fortunate to land a position with AB after years with Stroh, Glazers, and Labatt’s. He called me shortly after starting at AB and told me how happy and amazed he was to have all the resources AB provide for him. These ample resources continued until the InBev take over. Then things began to go south. Even with the strength of the outstanding AB distributor system, AB’s volume continues to drop and has since 2008. Some of the volume losses can be attributed to the recession, but as one AB distributor just wrote, he is making more money now than ever. That being said, given the changes ABI has made, just how much volume has been propped up by their outstanding distributor network? With the growth of the crafts, and once the craft segment growth slows, will the brands carry the segment, or will the distributors? Boston Beers’ dramatic growth can be attributed to their resources and adding people to their sales teams, or is their growth due to distributors’ efforts? Could it be that the distributors are reacting to the increased support Boston is making available? The smart craft breweries will take notice of what is making these breweries grow and plan accordingly. If they do not, they could easily become another Schlitz. Just remember, if they have to brag about just how good they are, they are probably not that good! In 2006, Maureen Ogle’s outstanding book about the history of the beer business in the US, Ambitious Brew, opens with the arrival of Germans around 1844. She writes that due to the oppression to the German speaking Europeans, many decided their future was not in Europe, but in the US, so they left their home continent. The Germans settled in multiple locations, many of which became hot beds for beer production, including, but not limited to Cincinnati, Milwaukee, Chicago, St. Louis, and Golden, Colo. Like many nationalities that came to the US, the Germans self-segregated. Even today, in a number of American cities, German American clubs still exist, albeit they are nothing like they were originally. Along with the many German breweries and retail outlets, these clubs were the social gathering place. At Coors in San Antonio, our territory included Comal County, one of the many German settlements from that time period. Today Comal County is still the home of the annual Wurstfest, a 10-day German carnival and celebration of sausage. As you can imagine, a lot of beer is sold! These German families assimilated into the US, became citizens, and established roots. Budweiser, Schlitz, Coors, Miller, Pabst, and many others grew over the decades as the breweries were passed from one generation to another. The industry often refers to prohibition as the darkest days we faced and during that time, German families and their breweries had to overcome both World Wars and the German backlash. Despite such backlash against them, these German families survived and flourished for decades. After 9/11 and the US military involvement in the Middle East, a majority of the country has come to support our troops and their efforts. This has reinvigorated a nationalism that was not prevalent during the Vietnam conflict. In fact, such patriotism was very apparent during the recent World Cup as the US team made it into the round of 16. You could also see it in last month’s Ryder Cup, held in Scotland, and, of course, there is always the US support behind the Olympic teams. One question: how does this nationalism translate to the beer industry? Consider ABI. Bought by InBev and run by Brazilians, who recently promoted another Brazilian to head up the US operation, with a stated goal of repairing relationships with their AB wholesalers! Really! Heineken USA is also run by non-Americans. Breweries such as Bavaria, Carlsberg, and soon Moosehead, ended US operations, went to small importers, and pulled or reduced support. All there breweries are managed from their headquarters in their home country. Warsteiner just named a new President, a German, who will run the US operation from Germany. Take a look at many of these imports and breweries. Bought, sold and/or run by foreigners. The sales and profit numbers for Crown and Boston Beers are remarkable. The same holds true for other American owned and run breweries including Sierra Nevada, New Belgium, Founders, Laganitas, Bells, and others. The American craft industry is on fire! Could part of that growth be because they are American owned and operated? As discussed in previous posts, Europeans and others have different business models, and growth is not their number one priority. One can argue that ABI employs many Americans, which is true, but tell that to the thousands of former American employees who have been let go by the Brazilians. So the question is: how many Americans run Brazilian Beer companies? How many Americans run German beer companies or breweries from Holland or in Belgium or China? Finally, how many foreigners run craft breweries are in the US? Perhaps these foreign run companies should consider that if everything seems to be going well, perhaps you have obviously overlooked something! If you want the rainbow, you have got to put up with the rain. A recent post highlighted how the golf industry and the beer industry could, in some ways, be heading down similar paths. There were several responses to that post. What was not discussed, however, which currently is, and will be an issue in the future, is one of bifurcation. There is a small, but vocal movement within the golf industry to change parts of the game. This would include changing the rules and requiring the pros to play by a different set of rules than the amateurs, changing the equipment, specifically the golf ball which, in turn, might require the pros to all play with the same ball. One major complaint is that the golf ball is, or has gotten too hot for the pros. What is unique about golf is that no matter what your handicap, you can play the same course, tees, equipment, balls, etc. as the pros. You can even play with the pros in the pro-ams. Now there is a movement to change the rules to grow the game. Bifurcation. 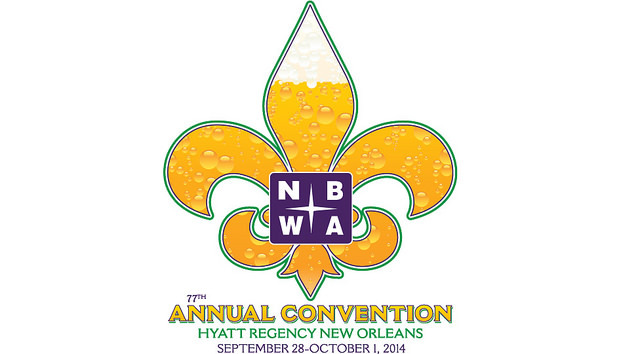 The annual NBWA convention recently ended in New Orleans. Even though this year’s event was considered an off year, the convention was, as usual, well attended. Thousands of beer wholesalers, suppliers, and industry executives attended this year’s convention. Recently, the convention has been the time and place for the industry to reveal its the pressing issues, including the dramatic growth of crafts, the attacks on the three-tier, franchise reform, national and state tax proposals, and other key topics. Since prohibition there has probably has not been a time that the industry has faced so many threats. In April 2015, the Brewers Association will conduct its annual convention in Portland, Oregon, a bastion for crafts. The attendance will exceed 10,000, about double the annual NBWA convention. Topics will include those discussed at the NBWA with a different twist. How can the craft industry benefit and grow within the current framework of the beer industry? In the beer industry, similar to the golf industry, there is a segment that wants bifurcation. To some degree, those who do want bifurcation are the have-nots while those who do not want bifurcation are the haves. Actually bifurcation already exists. Consider the carve-out laws. Depending on the state, if the supplier is small, and fits into the parameters of the law, they can leave their wholesaler for a price. The larger suppliers cannot leave. Bifurcation! Bifurcation will certainly be a major topic this coming spring in Portland, including the continuing efforts by all sides to either change or strengthen various state and federal laws which address the beer industry. The golf industry, just like the beer industry, is very healthy at its core. Both industries have been negatively affected by the economy and continue to be affected. Both are desirous of growth and expansion, but bifurcation will hold them back. Ultimately it always breaks down to: if you want the rainbow; you have to put up with the rain. In the summer of 1996, while working at Gambrinus, I was asked to spend two days with Andrew Oland, who was a member of the family who owns Moosehead in St. Johns. Andrew at the time was getting his MBA at Harvard, and his summer assignment was to research US beer importers. Moosehead was looking for a new importer for the US, and this project worked out well for both Andrew and Moosehead. Andrew and I visited a number of on and off premise accounts looking at all things involving Canadian beers along with Gambrinus products, Corona and Shiner. We went through all the reports and information used by Gambrinus, along with various procedures and policies. Moosehead soon made the decision to appoint Gambrinus for the US market, which subsequently led to a 10 year relationship. After terminating the relationship, Moosehead switched to importing alone with Glenn McDonald as their President. 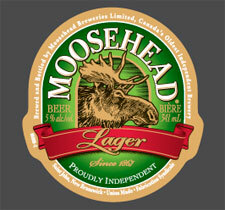 Moosehead has been an independent importer since that termination with Gambrinus took place, and remained independent until the just announced appointment of United States Beverage as their new importer. In the 1980s, Moosehead was part of All Brands Importer, a company owned by British companies Grand Metropolitan P.L.C. and Whitbred and Company. During this time, Moosehead was highly popular with the college students and used the marketing platform of “The Moose is Loose.” One could find Moosehead bumper stickers and t-shirts all over college campuses. Guinness bought out All Brands in 1990, which included Moosehead, Dos Equis, Sol, Pilsner Urquell, and Clausthaller. By this time, Moosehead had left the “The Moose is Loose” campaign and now Corona was the hot brand on college campuses. This subsequently led to Moosehead appointing Gambrinus as their importer by the mid-1990s. In December of 2006, at a meeting in Denver with Glenn, we began discussing the idea of a JV between Moosehead and Warsteiner. The idea behind this was to create a company that had the critical mass to allow both brands the marketing and sales support needed to compete. After running the initial numbers, it was clear to both of us that a JV between both companies was ideal. Neither brands competed against the other in flavors or price, in the states where Moosehead was strong, Warsteiner was weak; and conversely, where Warsteiner was strong, Moosehead was week. This JV would create a company whose volume was close to 250K HL. Another meeting was held in Georgia in the spring of 2007 with representatives from Germany and Canada. Warsteiner continued to review other opportunities, including working with USB. A meeting took place in New York shortly after the Georgia meeting. It was decided that USB, while a company with solid marketing experience, did not fit what Warsteiner was looking for at that time. By the summer, Warsteiner was open to the JV with Moosehead; however management in Canada had decided to go it alone in the US. What looked to be a perfect JV between Moosehead and Warsteiner ended? Now seven years later, Moosehead is once again appointing a new importer, USB. This could be due to the rapid and continued rise of crafts, or perhaps the desire for more marketing emphasis, but consider that this is the third importer for Moosehead and all the years of self-importing during the last three decades, a pattern of inconsistency definitely emerges. Consistency as Crown or Boston exhibit can be seen in the numbers. Either way what is true is that the early bird gets the worm, however the second mouse gets the cheese! On last weeks blog for a follow up on golf’s problems.